If one of our puppies has won your heart and you want to place a deposit down, please read information below and on our Purchasing page. Also, please email us with any questions you may have and we would appreciate also knowing a little more about you, your experience with dogs or dachshunds, your set up, who will be the main caretaker, etc. We have a Prospective Owner Questionnaire that we ask you to read over as well. If you want a dachshund bred for temperament, true to the breed, raised in a loving, clean home/environment who truly care about their dogs and in bettering the breed, please contact us. Our dogs are our pets and each one gets special attention and is a member of our family. We have plenty of space and an ideal set up for our puppies and dogs. Everyone that comes to our home and sees our dachshund puppies and dogs are very impressed with our puppy room. Over the many years since the start of Bountiful Dachshunds, we have learned so much and continue to learn. 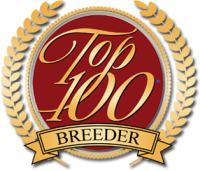 It is a labor of love as we strive for excellence in health/genetics, conformation and disposition in order to give our prospective owners a wonderful pet/companion. Our puppies come with a twelve month guarantee from life threatening genetic defects and AKC Limited Registration (unless otherwise stated) which means for "Pet Only"/No breeding rights. Some of our pups/dogs may not come with papers (for example, an adult we're rehoming or otherwise stated) but regardless, all of our parents are AKC Registered. We also ask that we be listed as an emergency contact once a microchip is acquired from your vet. If a circumstance arises that you're not able to keep your dachshund/pup that came from us, please call and discuss the matter with us, as they're always welcome here. Thank you for your cooperation and understanding. We reserve the right to get first choice of any litter. We do not take deposits to hold a pup until the puppy is born and color and coat type has been determined. Once we make a determination, we will call our wait list in the order we received it-first come-first serve basis. At that time we contact you, you may place a deposit on the pup of interest. We will give you 24 hours to decide and place a deposit. Keep in mind others will be ready to choose a pup as well. You will be notifed when your puppy is ready to come to his or her new home. Our pups must be at least 8-9 weeks old to leave; however I will not let him/her go until I feel the puppy is ready. Puppies are to be picked up no later than 10 weeks of age as this is an important time for them to be house training and bonding with their new family (unless other arrangements have been made with me in which a fee of $20 a day is charged beyond 10 weeks old since I'll need to be house training) but they must be picked up no later than 12 weeks of age. We will also continue their vaccinations and deworming schedule while they are with us. If you have not made arrangments to pick up your puppy, we will assume that this puppy will be available for others. Our puppies are priced depending on the coat, color and pedigree you are interested in and price is non-negotiable. 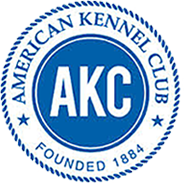 All of our foundation dogs and puppies are AKC Registered-an authentic and real registry, which means as breeders, we're under accountability and inspected by the American Kennel Club. We occasionally have some nice adults offered for homes but would need to discuss this with you in depth on the phone and then set up a time for a home visit. They would be spayed/neutered and teeth cleaned before leaving our care and the rehoming fee is around $350 and up, (d epending on the age) which is totally the vet care cost incurred, preparing him or her for their new home. Pup Pick Up Hours: Flexible but we must make an arrangements around both yours and our schedules. Mon-Friday schedule is for pup pick up and home visits scheduled ahead of time.